Tree King Tree Services have built a reputation of providing professional, quality tree services through Sydney. We deliver reliable, dependable tree services from Tree Removal and Lot Clearing to Tree Trimming and Pruning; we’ve got it all covered. There are occasions when a tree needs to be removed due to a structural defect, root decay or root damage. There is no job too big or too small for us to handle. Our tree surgeons can take care of those highly dangerous tree removals the most effective and safest way possible. We also offer Emergency Tree Services as needed. On each completed project we chip all the brush and haul all the wood away unless otherwise agreed upon with the client to keep it for firewood and/or mulch. North shore Tree King Tree Services’ qualified arborists will have the solution to all your tree problems, whether it’s a residential or commercial property, so save time and hassles and call us now on 04 04 04 33 33 for FREE Quote. 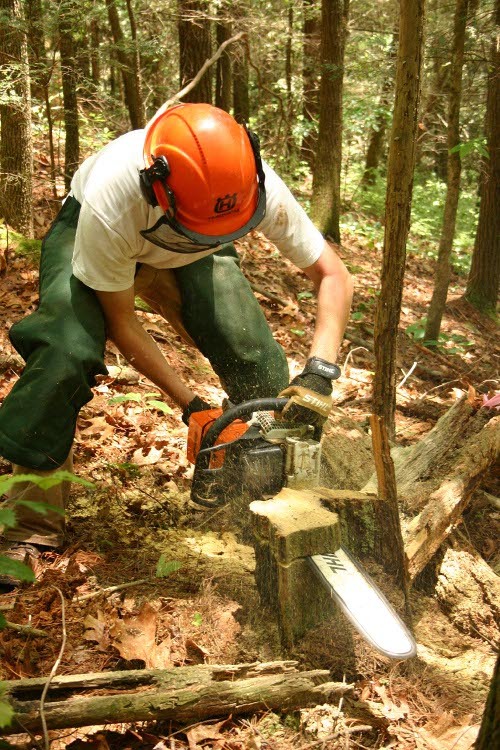 So what is an Arborist, and what we do? An arborist is a specialist in the care of individual trees. Arborists are knowledgeable about the needs of trees and are trained and equipped to provide proper care. Hiring an arborist is a decision that should not be taken lightly. Proper tree care is an investment that can lead to substantial returns. Well-cared-for trees are attractive and can add considerable value to your property. Poorly maintained trees can be a significant liability. Pruning or removing trees, especially large trees, can be dangerous work. Tree work should be done only by those trained and equipped to work safely in trees, so don't hesitate to call Tree King Tree Services qualified arborists on 04 04 04 33 33 for Free quote.